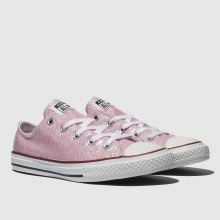 Shimmering its way onto the style scene, this sweet kids' Converse trainer is perfect for your little fashionista. 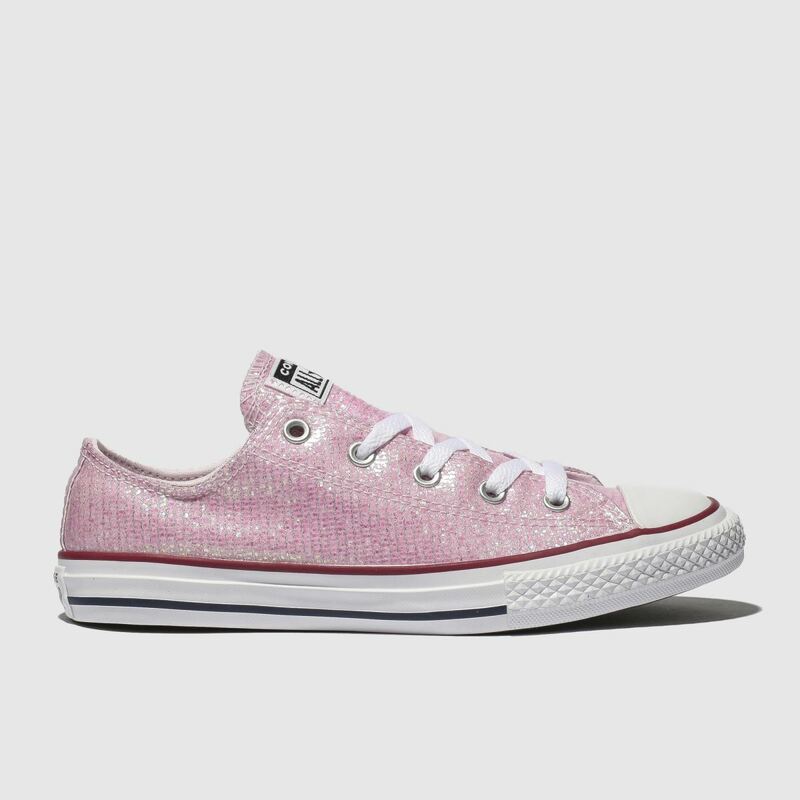 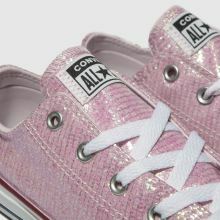 Crafted with a pink man-made glittery upper, the Chuck Taylor All Star Lo was made to stand out. 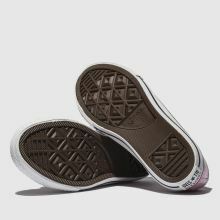 A signature vulcanised outsole completes.